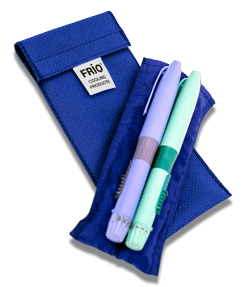 The FRÍO® is an evaporative cooling pouch that keeps insulin and other temperature sensitive medications cool within safe temperatures of 18-26°C (64.4-78.8°F) for 45 hours minimum, even in a constant environmental temperature of 37.8°C (100°F). 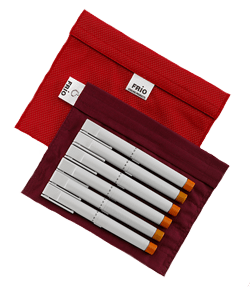 The most simple and convenient medication cooling system available, a FRÍO® offers people with diabetes and other medication users the ultimate accessory for the keeping their insulin or medication cool and safe. In-use Insulin is safe in a FRÍO® for up 28 days. 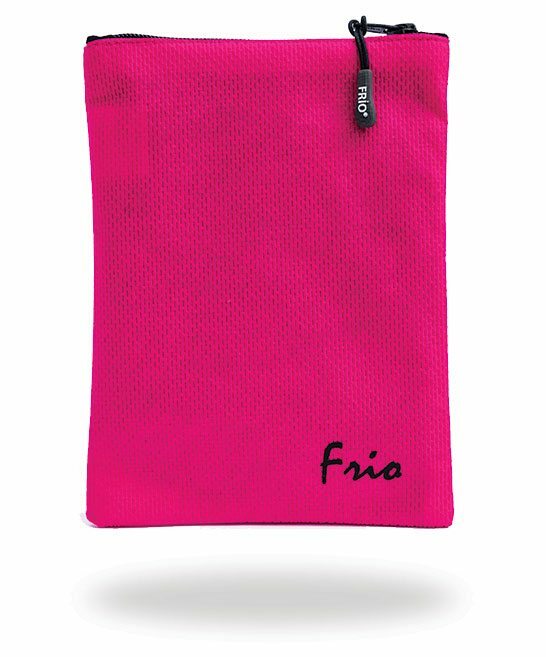 To activate the FRÍO® wallet immerse it in cold water for as little as 5 minutes. Crystals contained in the panels of the pouch absorb water and expand into a gel which remains cool for an incredible 45 hours – using evaporation for cooling. Then just towel dry and it’s ready to go! A FRÍO® keeps in-use insulin within safe temperatures of 18-26°C (64.4-78.8°F) for a minimum of 45 hours, even in a constant environmental temperature of 37.8°C (100°F). It lasts up to 5 times longer than an ice pack – don’t just take our word for it – read our customer comments page! 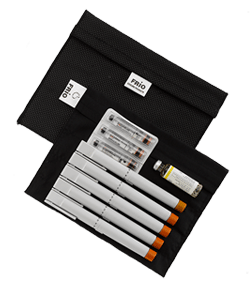 Designed to suit all types and makes of insulin pumps, insulin pens, vials and standard refill cartridges. Not sure which FRÍO® you need? Just go to our Contact Us page to make your enquiry and a member of our Customer Support team will be pleased to answer your questions. Your FRÍO® can also be used for other medications that can be stored at room temperature such as glaucoma eye drops, Growth Hormones, anaphylactic shock therapies etc. We advise users of medication other than insulin to check with their doctor, pharmacist or the manufacturer’s information leaflet for the medication’s safe storage requirements. NB: Insulin must be at the manufacturer’s recommended temperature before being placed in the FRÍO®. Please check the manufacturer’s information leaflet for your specific medication. 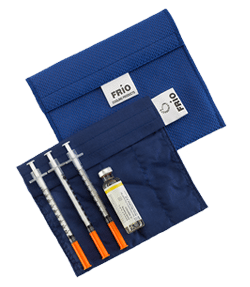 FRÍO® is committed to providing a highly effective yet low-cost solution to the problem of keeping in-use insulin at a safe temperature for up to 28 days (One month is the life of in-use insulin).